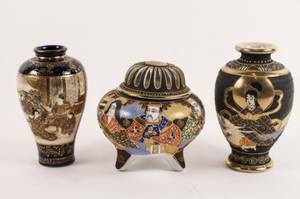 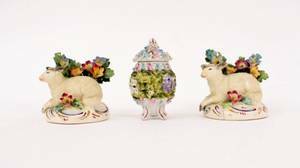 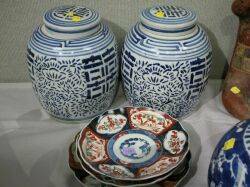 Pair of Chinese Blue and White Porcelain Ginger Jars and Three Imari Porcelain Bowls. 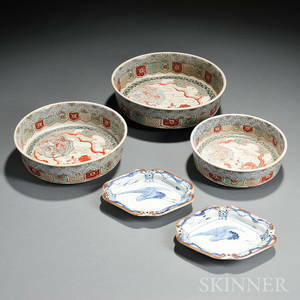 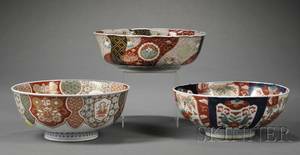 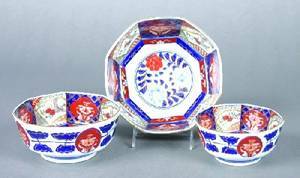 A Group of Three Japanese Octagonal Imari Porcelain Bowls. 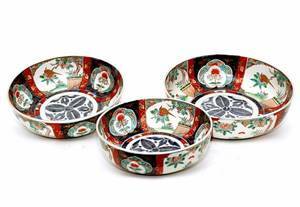 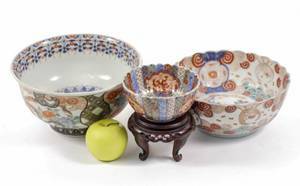 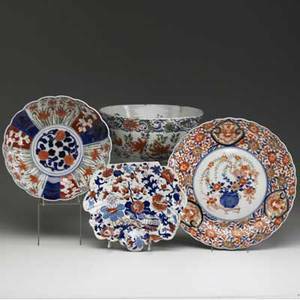 Japanese porcelain mixed lot of four pieces includes three imari design bowls, one charger and an early polychrome deep bowl with stapled repairs. 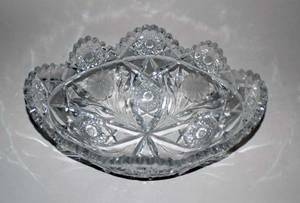 largest: 5 1/2" x 10 1/2"